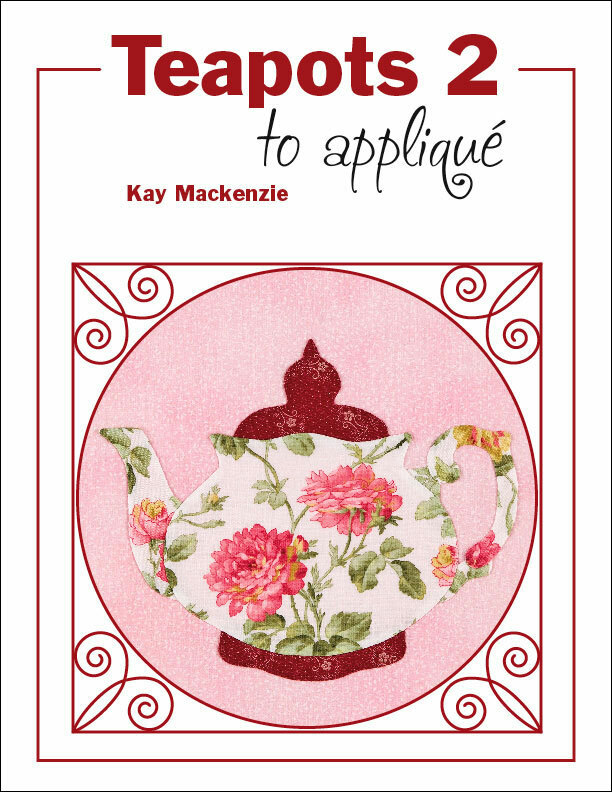 It’s finally here, March 1st… the official publication date of my new book, Teapots 2 to Appliqué! It’s an exciting time. After months and months of work designing the motifs, stitching them up, handing out the patterns to willing appliqué friends, waiting to see what they come up with, writing the text, creating the illustrations, laying out the pages, shepherding the projects through photography, and at last taking the finished file to the printers, then comes the nail-biting period waiting for “the call” that the books are finished and ready to be picked up. Once I finally have a book in my hands and it’s just what I wanted, that’s the happy dance time, as in now. Yay! Teapots 2 has 16 new teapot designs for you to appliqué using your own favorite method. Since my last book came out, I learned the back-basting, aka no-template preparation method for hand appliqué and have become a big fan. This new book has step-by-step instructions for back-basting prep in case you’re a hand appliquér as well and would like to learn what that’s all about. My first teapot book, Teapots to Appliqué, is now out of print. That’s a bittersweet thought. I sent off the very last copies the same week I got the new one. Couldn’t have timed it better if I’d planned it that way! Teapots 2 is available on my website, Quilt Puppy Publications & Designs. Your new book looks lovely- I love a cup of tea! Thanks Janet! I did take a look, and I’ve never seen anything quite like your work! It’s darling!